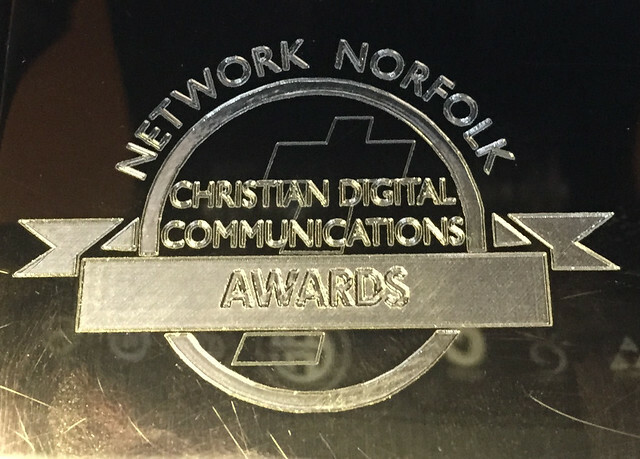 The winners of the first-ever Norfolk Christian Digital Communications Awards were named last night (November 11, 2015) by the Bishop of Norwich at a ceremony held at Norwich Central Baptist Church. St Thomas Norwich was a double winner with its website taking the Best Large Church Website title with highly commended entries from Proclaimers and Holy Trinity Norwich. The St Thomas’ team also won the Most Innovative Use of Digital Media class with its John Lewis parody Christmas video Tommy the Tiger which has been viewed online more than 50,000 times. Runners-up were We Are the Chorus and Soul Circus. Best Use of Social Media winner was Norwich Foodbank with its very active Twitter and Facebook accounts. Runners-up were Aylsham Parish Church and the Twitter account of the Matthew Project. The Best Christian Organisation Website accolade went to The Magdalene Group. Highly commended in this category were Fountain Network and Letton Hall. Last, but not least, the Best Blog winner was Words of Joy from Joy Lenton. Highly Commended were Nigel Tuffnell, Kung Fu Preacher Man: and Andrew Bryant, With the Collar off. Click here to see a the full list of finalists, roll of honour and judges comments.